Another Republican has joined the race for Huntington Town Supervisor. Bob Lifson is a longtime rival of the Huntington Republican Committee and has been known to have close ties to Frank Petrone and Mark Cuthbertson. Several months ago, both Cuthbertson and Petrone tried to nominate Lifson to be Town attorney. The attempt was unsuccessful and the position was filled by Cindy Mangano. Lifson also criticized Cook for encouraging the audit on the Town. If Lifson’s petitions stand, it means Cook will be forced to primary him for the Republican line on September 10, 2013. Many of the individuals who carried petitions for Lifson have close ties to Supervisor Petrone. Several are either employed by him or have donated to Petrone and Cuthbertson in recent months. Lisa Baisley carried petitions for Lifson. She is currently employed as the Town Personnel officer under Supervisor Frank Petrone. From January to July 2013 she donated $550 to Frank Petrone and $300 to Mark Cuthbertson. In October 2012, we reported that Baisley refused to permit Councilman Cook to review resumes for the Town Comptroller’s positions. At that time, she told Councilman Cook that she only answers to Supervisor Petrone. Baisley earns approximately $118,000 annually in her town job. Until a few weeks ago, the town Comptroller’s position was held by interim Comptroller Andrew Persich. Persich who worked directly for Petrone also carried petitions for Lifson. From the period of January – July 2013, he donated $250 to the campaign of Frank Petrone and $300 to Mark Cuthbertson’s campaign. Last year, we covered several stories about Interim comptroller Persich stonewalling both councilmen Mayoka and Cook on pertinent financial matters. Mark Capodanno who was a former Republican Councilman carried petitions for Lifson. He is currently employed within the Parks and Recreation Department for the town. He severed ties with the Republican committee when his voting record was too closely aligned with Petrone. It is rumored that he intentionally ran a weak campaign for his re-election to town board in 2005. Stu Besen won the seat and Capodanno was given a $50,000 per year job with the town shortly after the election. From the period of January 2013 – July 2013, Capodanno donated $200 to Petrone and $150 to Cuthbertson. Robert Sobieski who works in the Town’s Resource Recovery department turned in approximately 100 signatures for Lifson. During the period of January 2013 – July 2013 he donated $250 to Petrone’s campaign. His wife happens to be Patricia Del Col who is the Deputy Supervisor to Frank Petrone. Del Col earns approximately $150,000 annually working for Petrone. Sal Sanfillipo collected signatures for Lifson. He is currently employed in the Public Safety department. He is a Notary in Nassau county which makes him eligible to carry petitions outside of his party. Jacob Turner who was recently hired in the Town Attorney’s Office carried petitions for Lifson. Philip Ingerman is a Director of Intergovernmental Affairs for Petrone. He turned in more than 100 signatures for Lifson. From the period of Jaunary 2013 – July 2013 he donated $500 to Petrone’s campaign and $300 to Cuthbertson’s campaign. Ingerman earns approximately $105,000 annually as a Director to Supervisor Petrone. 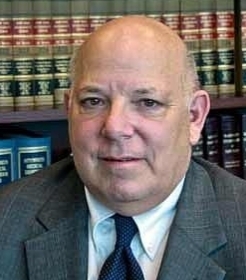 The law firm of Lewis Johs, located in Islandia, is a large contributor to Supervisor Frank Petrone. Over the past few years this firm has donated approximately $13,500 to the Friends of Frank Petrone campaign fund. This does not include a $250 donation the law firm contributed to Petrone this past reporting period. 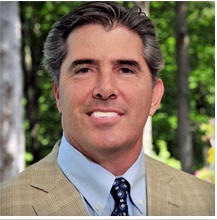 Just this past February Lewis Johs announced the hiring of Robert A. Lifson as legal Counsel. According to the Lewis Johs website, Lifson was retained to deal primarily with appeals cases. In a recent Times of Huntington article Lifson is quoted as saying that the recent partial audit of the Town of Huntington “showed nothing”. He also stated that the audit was not necessary. In actuality the audit revealed serious duplicative legal services in the Huntington Town Attorney’s office, which, according to the audit cost the town taxpayer an additional $487,951 in spending. Read about it here. The firm Lifson works for is listed as a firm that conducted outside legal counsel for the town during the audit period. The audit, which Cook pushed for, ended up being a partial audit. It may have raised more issues if all town departments were looked into. If you break down the 54 individuals that carried petitions for Lifson, the majority of the individuals fall into one or more of following categories: They have donated to Petrone and Cuthbertson in the past 6 months; They are individuals who work for Petrone and/ or are close personal relatives or live at the same address as someone who works for Petrone. A few are Notary’s who are not part of the Republican Party and do not live in the town of Huntington. Only six of the people that carried petitions for Lifson are current Town of Huntington Republican Committeemen. There are currently more than 300 Republican Committeemen in the town of Huntington. The vast majority of the current Republican committee carried petitions for Cook. Mr. Petrone was originally elected as a Republican in 1993. He only changed parties after his housing priorities that brought us Avalon Bay and Highview were made known to to his fellow Republicans, who did not agree with him. Why should we be a bit surprised here?